What is this post about? Read part I on Italy here. 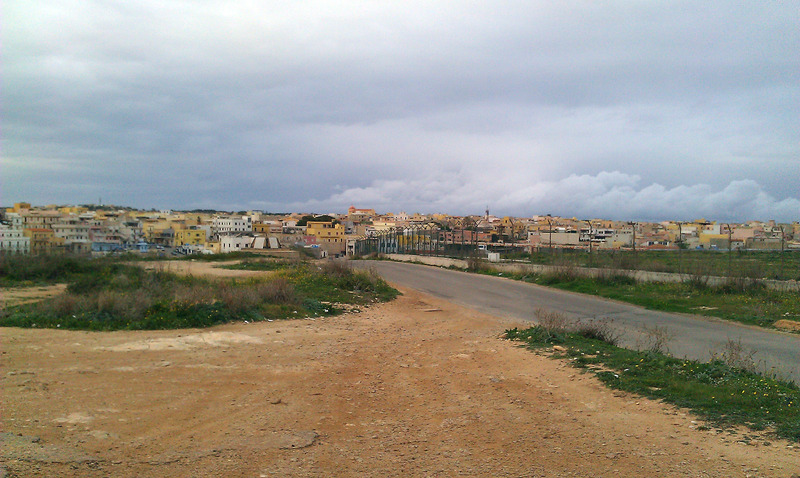 Before the Arab Spring, and before the Tunisian people rose up in anger, Lampedusa was silent. When I visit early in January 2011 the stream of sub-Saharan African refugees and migrants who once used the sleepy island as a port of entry to Europe have disappeared. A quiet life resumed for the Italian island’s 6,000 inhabit­ants. Once again visitors were moneyed tour­ists and not destitute explorers. High up the craggy hills of the small island stands the desolate 850-place immigration reception centre, once home to 1,800 migrants as they waited to be processed into the European Union, or deported back across the sea to Africa. Islanders say the centre closed after inmates set fire to it during riots in the summer of 2010. Before the silence, people from all over Af­rica entered Europe through similar Italian and Spanish islands in the Mediterranean, their determination unruffled by the thou­sands who drowned at sea before them. In 2008 nearly 40,000 migrants arrived in Lampedusa; yet numbers dwindled to single digits in 2009 and 2010. Why did they stop coming? The answer can be found in the European Union’s asylum and immigration third country policy, an effort to build special partnerships with governments in countries whose na­tionals try to enter Europe irregularly. The dramatic drop in people using Lampedusa as a way into Europe was a direct result of the Ital­ian government’s decision to create a special partnership with Libya. The Friendship Treaty between Libya and Italy was signed in 2008. Libya’s side of the deal included preventing all asylum seekers and migrants getting to Italy. The Libyans, one of the few coun­tries in the world not signed up to the Refu­gee Convention, were chillingly efficient. “When we came to Libya I thought that we were free, but we were not free,” says Abdarrazaq (pictured), a 26-year-old Somali refugee living in Sicily. 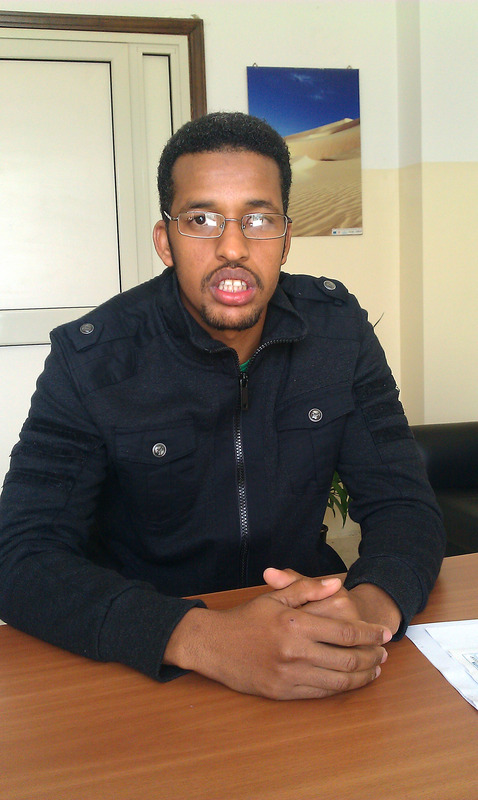 The softly spoken economics gradu­ate travelled to Italy via Ethiopia, Sudan and Libya. It took 10 days to cross the Sahara desert, packed into a 4×4 car with 29 other frightened people, all terrified of being caught without pa­pers. On arrival in Libya the situation worsened. “We were put under house arrest,” he says. “There was a man who captured us and said if you don’t pay $600 you die.” While unprepared for the violence, Ab­darrazaq had expected this, and carried plenty of cash to bribe officials. Abdarrazaq could be described as middle class. As a teacher in Somalia, he was not rich enough to immigrate to Kenya, as his wealthier countrymen could, but he earned enough to save for his clandestine journey to Europe. The Libyans who abducted the group Abdarrazaq was travelling with in Ajdabiya, north Libya, beat them until they agreed to pay up. This was not the only time Abdar­razaq was kidnapped as he made his way across Libya. He was captured and beaten by po­lice officers and imprisoned for three days until he handed over $1,000. After several weeks, he was finally able to leave Tripoli on a boat bound for Italy carrying around 300 other migrants. Those without cash to bribe rogue officers and smugglers, were left to languish in Libyan jails or abandoned in the desert. Abdarrazaq’s story seems fantastic, but his account corresponds with numerous reports from the UNHCR and other human rights’ groups, all documenting Libya’s brutal treatment of migrants. I met a young Eri­trean refugee working for Caritas in Calais who could not discuss the “horrific stories” from his time in Libya. Though Muammar al-Gadaffi is dead and gone, it is unlikely his policy of pushing back migrants and asylum seekers crossing Libya on their way to Europe will end. The Libyan Na­tional Transit Council has promised the Italian government that once stability has returned, the ‘push-back’ of migrants will resume. The killing and hounding of black African migrants mistaken for mercenaries during the Libyan revolution last year indicate that the violence and abductions are also likely to continue. this lot are nothing better tan leaches- sucking and sucking the life out of CHRISTIAN europe. The new lot who have been rescued are ALL MEN – they made sure that the woen and children DROWNED to save their own cowardly lives !